So – I am probably jumping on the bandwagon here. But I feel like I need to blog about these recent events involving Joseph Kony and Invisible Children. Many of you will not like what I say here – and I guess I am okay with that. I just feel like maybe I should add one more blog to the ‘slew’ of blogs out there involving this mess. Now – to be clear – I am 100% against what Joseph Kony has done, and is doing, in Uganda. The man has no right to be doing what he is doing – and must be stopped. Period. I have been a fan and follower of ‘Invisible Children’ for a long time. And I tried to do whatever I could to support…while admittedly not doing enough. I never offered financial support – but I did ‘spread the word’ about what they do, and stand for. One of the things that I don’t like about the recent events is how VIRAL this stuff is. They worked up a big release day, sent the video to tons of Celebs and then let it go. Sure there is a bunch of cool merch, posters, buttons, wristbands, and the like. But the thing about viruses is that they are BIG and hit hard…but they are short lived. Same is true with social media/internet viral videos and movements. We have turned something serious into another disconnected viral sensation. Another viral video…complete with posters, buttons, and wristbands – so you can feel connected. Don’t get me wrong – this is a good thing. It needs to be done. 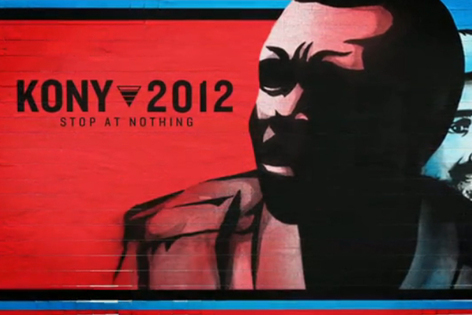 Kony needs to be taken care of. All men/women in the world who have this evil need to be brought to justice. It is just scary to know that this is just another ‘fad’ (as of now…at least). I like how they have things lined up – a plan of action – and all that jazz. The fact that their next course of action is to get politicians on board…it is good. The ‘paint your city’ event is a good one too. Awareness is key – I agree. I just hope the vision catches. I am tired of seeing fads come and go. Previous Post Previous post: Well hello there, God! Next Post Next post: I am Jason Russell, I am Joseph Kony. I totally agree with you. I love how the awareness is on the rise and people are pumped but like you said its important people do something. Its important people not only do what the video says, which was to promote it, maybe buy the kit. I like your point about it being viral and how viral videos die out. One of my friends is a currently a rodie with Invisible Children and I’ve been following his posts on facebook, he crazy busy. The only thing I think they need to be more clear on too is the night when people are supposed to go and cover their city with the kony signs and stickers its important this doesn’t turn into vandalism. Stickers have a way of getting put everywhere….everywhere~!!!!! John with the utmost respect and love; I disagree with this post. My biggest bone of contention is the characterization here. I agree that often things like this blow up quickly and then fizzle quickly. I further agree that for most folks this will be true. However, the folks with IC have been at this consistently for the past nine years. They have put in the sweat equity. They devised this plan and now they are executing this plan. This is just a piece of the plan for this. They are committed. They have not just blown in, blown up and will soon blow out. They have folks on the ground and they have committed the resources of IC to fixing what is broken here. I would agree kind of with this. The spending of IC has been nothing short of reckless for the past 9 years too. I like that they are making him known – I do. But I think they should have better plans of what to do with their money…er…our money.